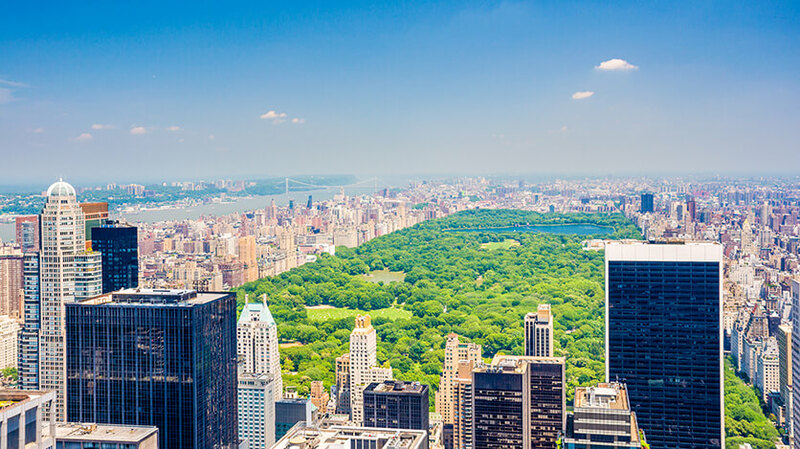 New York is a popular city break destination all year round, with plenty going on throughout the year to keep visitors arriving, regardless of the weather. New York has a similar climate to northern European cities, with a chance of rain throughout the year. The summers are warm with temperatures then dropping significantly in winter. Despite the chilly temperatures in the winter months, New York is particularly popular over the Christmas period. With so many exciting events on throughout the year, cheap flights to New York will always be in high demand regardless of the season. 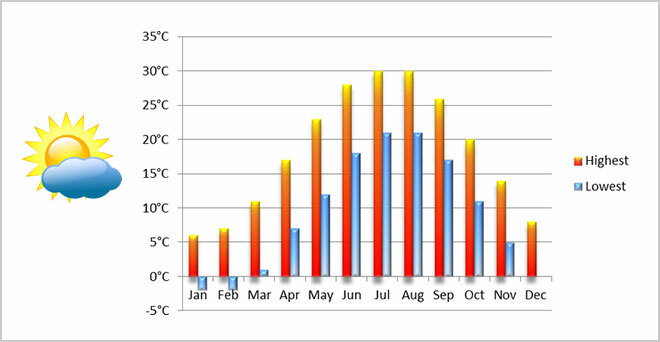 From June to August, temperatures reach as high as 30°C during the day, rarely dropping below 20°C at night. Summers in New York are actually slightly rainier than the winters. New York’s subways can become very stuffy in the summer months, but since there is a chance of rain it’s best to have a light raincoat with you on cloudy days. There are lots of outdoor festivals held in New York during the balmy summer months – many of these are free and picnic friendly. New York’s autumns remain mild with average daytime temperatures between 11°C - 20°C. Many people see autumn as the perfect time to visit The Big Apple as the weather is still pleasant but less humid than the summer. Autumn is quieter than the height of summer and the Christmas shopping rush, and offers a chance to enjoy the sights of The Big Apple with more space than peak season. Interesting events in the autumn include: Labor Day Weekend (September), The Halloween Parade (October) and The New York Marathon (November). Being so far north in the US, New York gets very cold in the winter, but the frosty, sometimes snowy weather can make for some picturesque scenery. Central Park in particular is beautiful under a light cover of snow. Chilly thought it may be; this only adds to the Christmassy feel of the city during the festive season. Temperatures in winter are comparable to a British winter. Maximum temperatures from December to February will be around 7°C during the day, dropping below zero at night. New York is one of the best cities in the world for Christmas shopping, meaning that however low the temperatures may get, visitors from around the world will keep coming. Like autumn, spring in New York means pleasant without the big crowds of the peak season. March has a reputation for being quite rainy but there is still plenty of reason to visit including the St. Patrick’s Day Parade (March) and the Easter Parade (April). Temperatures usually reach 17°C in April and 23°C in May. During September and October, day time temperatures stay between 15°C – 25°C.